There are few things I love more than looking at something reviled through a new lens and finding that it’s actually just misunderstood. And, the burdock I inherited from the previous farmer? Let’s just say that’s one thing I’ve been determined to beat understand. Burdock, burrs, beggar’s button, wooly burr, cocklebur, and the inspiration for Velcro, everyone knows burdock though you might not recognize it by name. It’s that annoying large broad-leafed plant with the prickly burrs that get stuck in your hair, your socks, your sleeves, the wooly coat of the dog, and matts up the pretty flaxen switches of the Ladies’ tails. After reading my favorite The Seasons on Henry’s Farm, my opinion if not my experience of burdock has been turned completely inside-out. Maybe I’ve just not been looking at burdock through the proper lens. 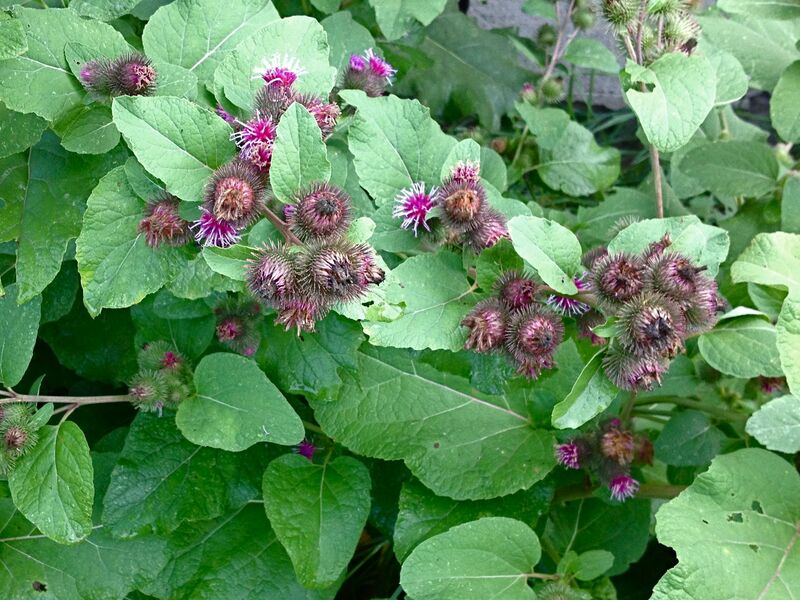 Around here, burdock is one of the plants that sends most farmers sprinting for the nearest vat of Round-up. But, on Henry’s farm, they actually plant the stuff. You read that right. I had to wipe off my glasses and go back for a re-read, but it’s true. And, while we post-Colonial Americans have no real custom of eating burdock, it appears our Indian predecessors were well familiar with its virtues. Burdock was dug in the fall during the Harvest and Hunter’s moons, then dried to provide sustenance during the long frozen winter months. The Japanese too have long had an appreciation for the sweet, delicately flavored crunchy root cloaked in its plain dirty brown wrapper. Never knew it, but the massive root is nutritious, delicious and has significant medicinal benefits as well. So, with subversive glee and high expectations, I set out to prove that burdock’s unsavory reputation has been a bad rap all along. You say you think chicken broth with pork and kale sounds boring? Nay, nay. Anything but. Modern, richly flavored yet fresh, light, herb-y and comforting at the same time. And substituting burdock leaves for the kale is bound to shake things up, right? I hunted up the more delicate, small leaves from the first year plants and gathered up a hefty bunch. Then I harvested green onions from the garden, mint from the pasture, and foraged roasted poblano peppers and ground pork from my freezer. I made Nigel’s recipe more or less exactly as it’s written, but used my burdock leaves instead of the kale or cabbage. 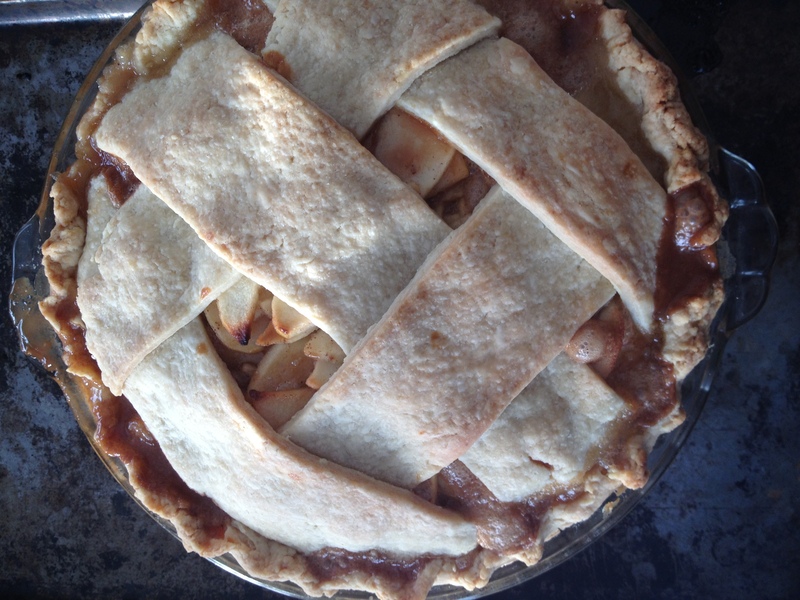 Here’s the printable recipe. My pork is slow raised heritage breed so I’ve got a bit more fat. Best of both worlds, just refrigerate & skim the fat from the top before serving. I so wanted this tale to have a different ending. I mean, I worked those burdock leaves – I wanted them to be miraculous. But, even after boiling the burdock in water with salt & some vinegar to reduce the bitterness they were still peculiar and unpleasant. Washing-your-mouth-with-soap kind of bitter. Now – burdock roots? I’m still holding out hope for the crunchy-tender deliciousness of burdock root. 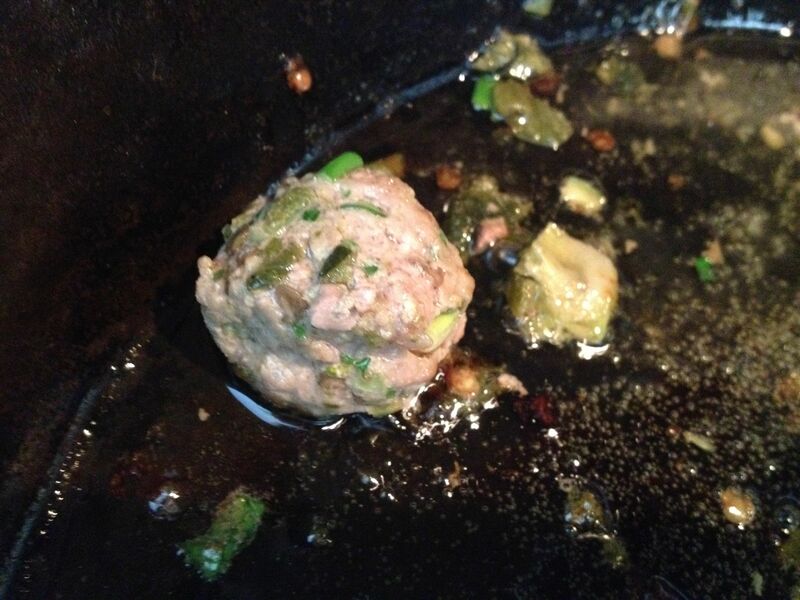 The pork balls on the other hand are simple perfection and not to be dismissed. Our American food culture is short on uses for unadorned ground pork, but when you buy a half or whole pig, guess what you have? Unless you have it all made into sausage, which is a bit limiting, you’ve got plenty of plain ole ground pork. If you haven’t bought your pork in bulk, a good, old-school butcher shop that doesn’t get its meat in processed boxes should be able to grind you some. I hope your town has one of those. If so, do check in and let us know about it. I love hearing about those kinds of artisan treasures. I highly recommend keeping a bit of ground pork in the freezer. Nothing riches up your chicken stock like a long simmer with a few of these tender meatballs.They’re useful, versatile and freeze well. Since the burdock turned out to be a not-so-great-idea, next time I went for the Savoy cabbage. Much, much better. Cabbage and pork fat have a special bond, and the flavor of the cabbage doesn’t overwhelm the herby, delicate flavor of the pork balls. But my favorite combination? Definitely the kale. Delicious. Far from being another kale cliché, kale & pork balls were made for each other. What’s the next big weedy crop? Lamb’s Quarter. They say it’s like spinach, only better. You know them, don’t you? They say a lot. I sure hope they’re right next time. What do you say? 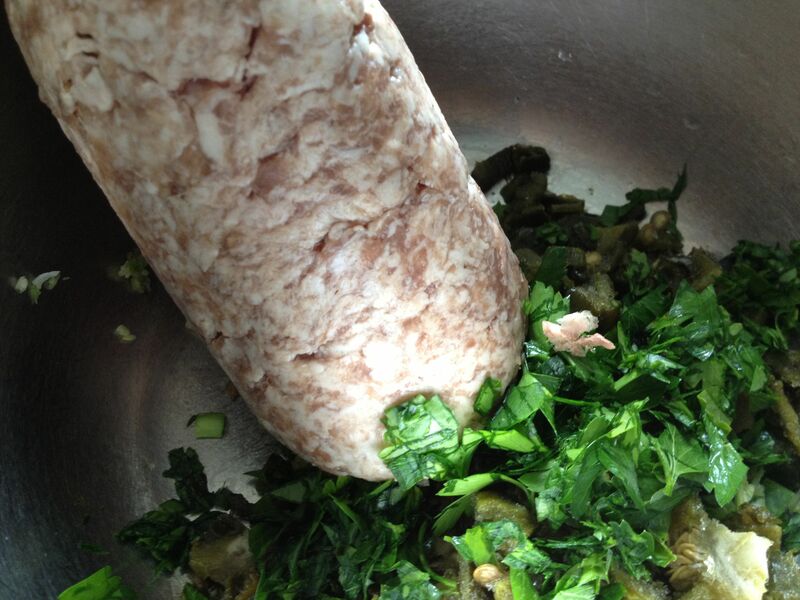 Do you have a favorite foraged green or excellent use for simple ground pork? in which we say: My Haw! What an interesting experiment! 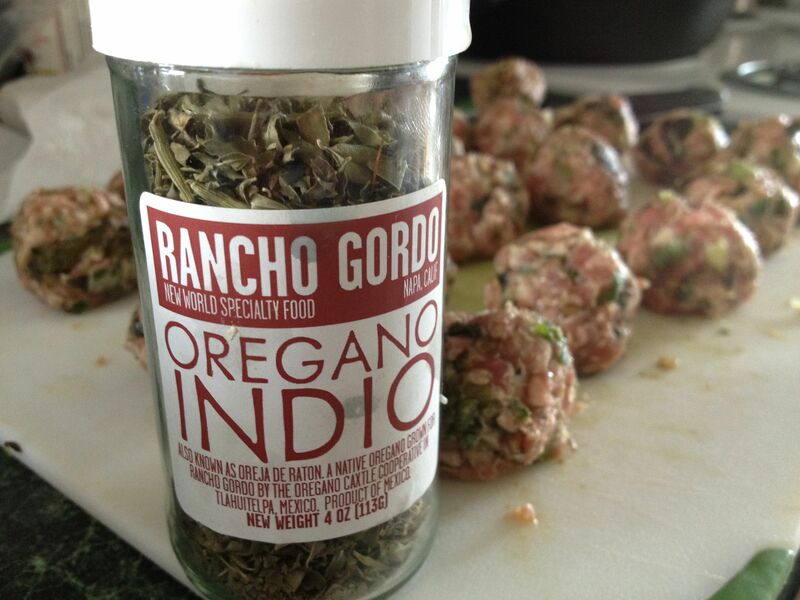 We love ground pork too – I will definitely try these pork balls (with the kale!). 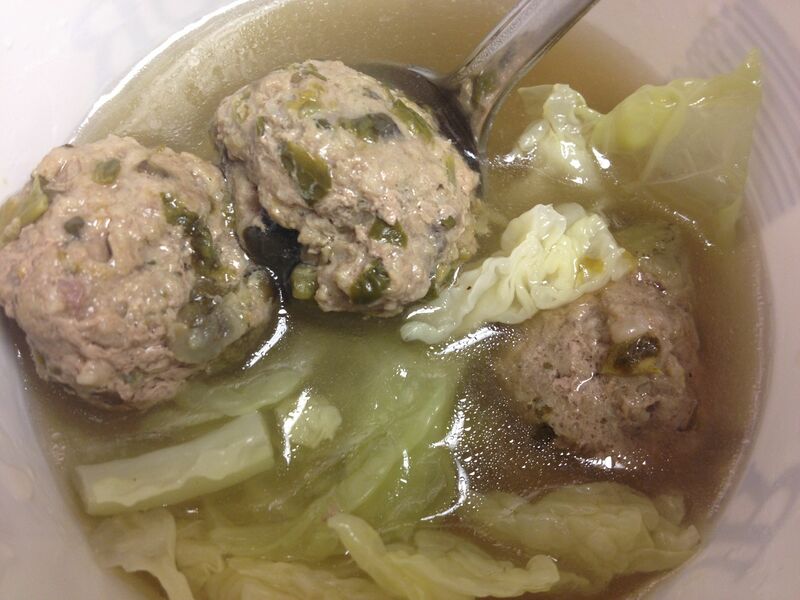 My favorite soup with ground pork is a simple soup recipe given to me in a class I took on Asian cooking. It’s very easy, just called “Tomato Soup” take 1 or 2 scallions, a lb of ground pork and scramble in a little hot oil in a wok. Add some chopped water chestnuts, 2 or 3 firm tomatoes, cubed (you can use canned diced tomatoes) and some black mushrooms (the dried ones should be soaked first in warm water until softened) or you can use fresh shitake mushrooms sliced (I’ve even used button mushrooms). Stir all this together and then add 4 cups of tomato juice, 4 cups chicken broth, a little salt and pepper and bring to a boil. Then thicken with 3 tablespoons of cornstarch mixed with 3 tablespoons of cornstarch. 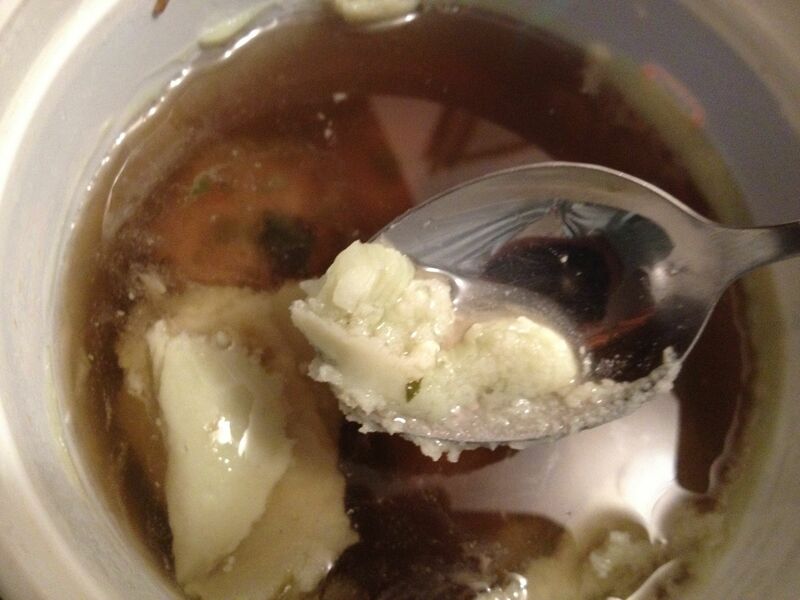 Bring back to a boil and stir in 2 eggs that have been beaten a little. Mix well, heat for a minute and serve – it’s delicious! “After reading my favorite The Seasons on Henry’s Farm…” – also a fave of mine! Interesting post. Great post, I love that book- Seasons on Henry’s Farm. Just last night my daughter asked me, “How many times are you going to read that book?” Lot’s I replied. I gives me inspiration and courage. Ahh, just throw ’em in the juicer! I”m cringing at the thought! We make Bubble ‘n’ Squeak with fresh ground pork: saute together sausage, onion, shredded cabbage until done, then add chunks of cooked potato, heat through and then salt, pepper, and a bit of vinegar: perfect! Mmmm, I love bubble n squeak, though I’ve never made it with pork or cabbage. Thanks for the great idea Amy! That does sound good – Bubble N Squeak! I’ll have to try that. Yum! NETTLES!!!!!!!!!! They are SO delicious! Love gobo. Resent the hours spent combing the seeds out of dogs’ and cows’ coats and tails. 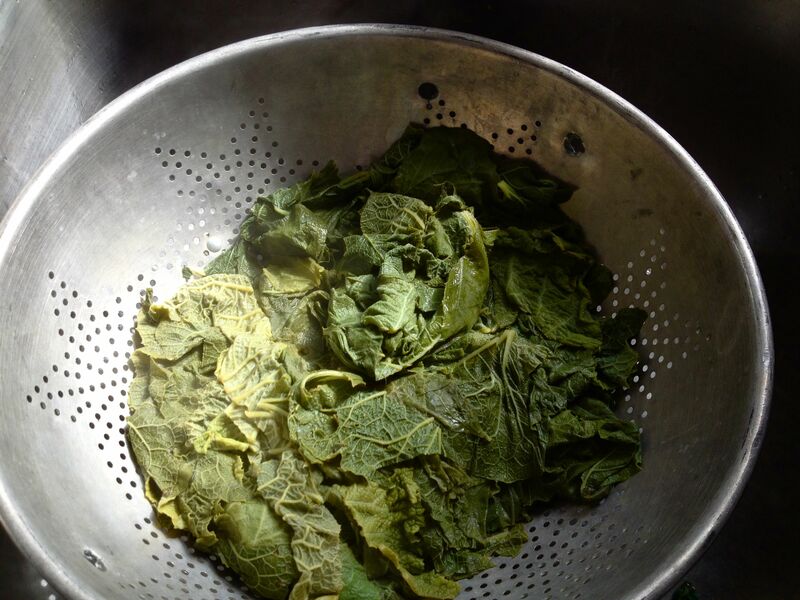 Fermented nettle leaves make a nice tea – perhaps burdock, also?